Ian Abdulla’s paintings vividly recall his childhood memories of the peripatetic life of the Ngarrindjeri people of the Riverland region in rural South Australia. A hallmark of his work is the juxtaposition of text and image against a flattened foreground, in the manner of an animated narrative. Abdulla’s handpainted annotations are placed dead centre at the top of his paintings, bringing a personal inflection to his stories. His experiences are shared by many Aboriginal people dispossessed of their land and marginal-ised into a life of seasonal work and scavenging. Yet, as Swimming before school , 1995, reveals, Abdulla’s richly detailed paintings offer a sense of community despite the hardships of working for a subsistence livelihood on the fringes of a wealthy white farming community. The rapid degradation of the natural resources of the region, and encroaching westernisation of Nunga communities are also as subtly constant as the ubiquitous Murray River. From his participation in a community screen-printing workshop in Glossop in 1988, Abdulla’s transition to painting and increasing prominence is similar to that of many Aboriginal artists from rural or urban communities who have found a voice in the visual arts. Abdulla’s work came to national attention during his first solo exhibition in 1991 at the newly established Tandanya National Aboriginal Cultural Institute in Adelaide. By actively supporting the artists of its Indigenous constituency, Tandanya was critical in the fostering of the impressive talents of Nunga artists. 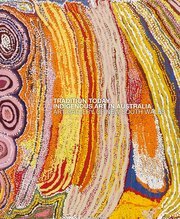 In 1993, Abdulla exhibited jointly with Wiradjuri artist, H. J. Wedge, at Boomalli Aboriginal Artists Cooperative, Sydney. An artist-run centre, Boomalli was set up in 1987 by a group of ten Sydney-based Aboriginal artists. Abdulla also produced three autobiographical picture books, and undertook commissions for ‘Beyond the Pale: Adelaide Biennial of Australian art’, curated by Brenda L. Croft in 2000, and the Melbourne Museum. For these projects, he created three-dimensional installations that appear as natural evolutions of his paintings. In 1991 Abdulla was named South Australian Aboriginal Artist of the Year, and was awarded an Australia Council Fellowship in 1992. As these awards and his work testify, Ian Abdulla is counted as one of the leading figures in the flourishing of Indigenous art from Australia’s rural communities.